Do you know what people do once they get tired of all the noisy parties full of lights, bass, and beats? -Once active visitors get the feeling of “Fun gets boring.”- When they feel that just had enough of the hedonistic way of living at the “big sister” island. In that very moment, they find shelter in a neighbor place called Formentera! Formentera is a 19 kilometers (12 mi) long island. It is located close to the south of Ibiza, about 6 kilometers (4 mi) in the Mediterranean Sea. More specifically Formentera is part of the delimitation of the Balearic Sea which is a northwestern element of the Mediterranean Sea. 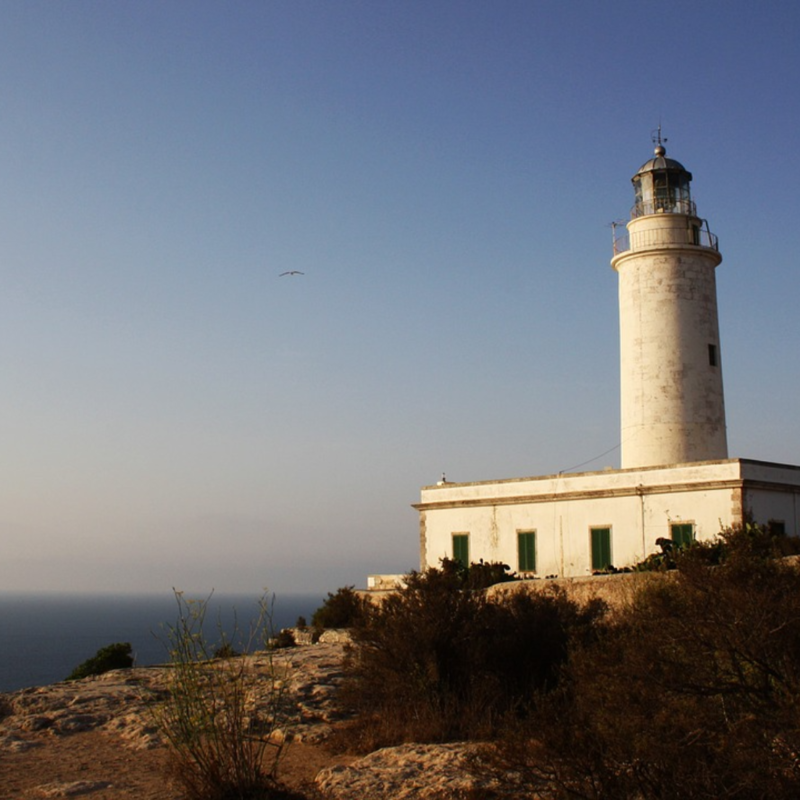 What can you find in Formentera? So, if you are thinking of something like this for you in this moment, we can assure that the pure beauty of Formentera is the answer for your search of peace, yes, you will undoubtedly discover your very own piece of paradise. This piece of earth is so different from the other Balearic Islands that some people think of it like one of the Greek Islands instead of Spain. Your eyes are surrounded by miles of white sand and crystal clear water shining in all nuances of blue and turquoise. Being mostly flat this island is ideal for activities like walking and cycling. Many visitors recommend especially its maze of old footpaths, which lead to deserted coves and bring a peaceful sensation of controlled adventure. So if you ever plan on traveling and ask yourself about where to find a delightful experience, we extend you a warm invitation to visit Etosoto Formentera, an ambiance of happiness, peace, and harmony with nature, a balsam for soul and spirit. Our beachfront residence hosts various cultural and agricultural experiences while preserving its soul of the Finca of yesteryear. Part of our pride and joy at Etosoto Formentera is the interior decoration of our house. You can pick among nine bedrooms and suites in the finca, two little houses on the beach, a pool on the terrace and a large patio between shade and sun to accommodate readings and philosophical thoughts under the boughs of an old tree. Having in mind that the primary intention is for you to enjoy the beauty and charm of the outside, the interior rooms’ designs are minimal. We have made conscious efforts in choosing all the plans carefully so that they blend with the original finca tradition without forgetting the comfort and conveniences of a modern home. Every room and suite you visit at Etosoto Formentera is unique for meeting your needs going from extraordinary views to the pleasure of falling asleep to the melody of the waves or in the shade of a centenary tree. Of course, there are many experiences you can enjoy at Etosoto. Please take some minutes to check our videos, photos or writings and get related to our creative and innovative vision.